This week, battles for two separate thrones are set to resume. On Wednesday, the NHL playoffs begin as 16 teams jostle for the right to raise the Stanley Cup. On Sunday, the final season of Game of Thrones premieres on HBO. The two wars have more in common than you may think. 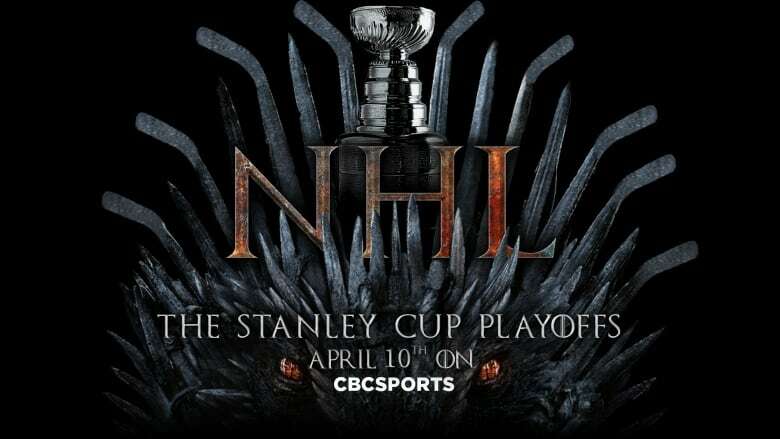 Which team will be left sitting on the Iron Throne, sipping from Lord Stanley's mug? This week, battles for two separate thrones are set to resume. On Wednesday, the NHL playoffs begin as 16 teams jostle for the right to raise the Stanley Cup. On Sunday, the final season of Game of Thrones premieres on HBO. The two wars have more in common than you might think. Both feature ice and Flames. Both feature a current king or queen who enjoys drinking. And both feature resurrection. But there is one key difference. In Game of Thrones, "you win or you die." In the NHL playoffs, you win — or you golf. Here are the major players in the coming wars. Flames: Daenerys Targaryen — "They're all just spokes on a wheel. This one's on top, then that one's on top, and on and on it spins, crushing those on the ground. I'm not going to stop the wheel. I'm going to break the wheel." The Flames' three dragons — Johnny Gaudreau, Sean Monahan and Matthew Tkachuk — are hoping to say 'dracarys' and vanquish the Avs' playoff hopes. House Calgarian is also a fan favourite. Avalanche: Greyworm — "I was never the biggest, I was never the strongest, but I was bravest, always." They may be quiet, but the Avalanche's first line is deadly. The army behind them? Less so. Sharks: Jaime Lannister — "If there are gods, why is the world so full of pain and injustice?" While Jaime is known to everyone in the realm as the kingslayer, he's never actually slain a king. While the Sharks are known to everyone in the league as Cup contenders, they've never actually won the Cup. And with Erik Karlsson's nagging injury, San Jose may find itself playing with one hand tied behind its back. Golden Knights: Brienne of Tarth — "All my life, men like you have sneered at me. And all my life, I've been knocking men like you into the dust." Be prepared for two things when you come into Vegas' barn: an unnecessarily lengthy pregame ritual featuring armoured knights with swords, and some stingy defence. Predators: Tyrion Lannister — "That's what I do. I drink, and I know things." If we learned anything from the Predators' Cup run two years ago, it's how much Nashville likes to party. If we've learned anything about Tyrion Lannister over seven seasons of Game Of Thrones, it's the same. Stars: Theon Greyjoy — "Do you know what it's like to be told how lucky you are to be someone's prisoner?" Neither Theon nor the Stars are particularly fond of their owners right now. Jets: Jon Snow — "Sometimes there is no happy choice, only one less grievous than the others." Tasked with protecting a cold northern border, the Jets will need to solve the wall that is Jordan Binnington if they want to advance to the second round. And after being left for dead, both the Jets and Jon Snow were revived in icy climates. Blues: Sansa Stark — "I'm a slow learner, it's true. But I learn." Sansa's fortunes vastly improved after she rid herself of Joffrey, Littlefinger and Ramsay. Likewise, the Blues' fortunes improved ever since parting ways with coach Mike Yeo. Lightning: Bran Stark —"I can't do it by choice. I don't know how. It happens in my dreams." Bran can see the future, with some rumours even saying he is the Night King. Are the Tampa Bay Lightning the real Night King, demolishing everything in their path? Either way, both are the betting favourites to sit atop their respective thrones. And both are too talented to lose, right? Blue Jackets: Melisandre — "I've been ready to die for many years. If the lord was done with me, so be it, but he's not." The old gods and the new. Sergei Bobrovsky and Artemi Panarin, plus the additions of Matt Duchene, Ryan Dzingel and Adam McQuaid, proved that general manager Jarmo Kekalainen is a master of the dark arts. Bruins: The Hound —"If you can't protect yourself, die and get out of the way of those who can." They're bullies. Zdeno Chara is absolutely the NHL's Hound. And they've always been a thorn in the side of the Toronto Maple Leafs. Maple Leafs: Arya Stark —"Swift as a deer. Quiet as a shadow … quick as a snake. Calm as still water." They went missing for a bit, trained for years and are now ready to show everyone their powers. But first and foremost, getting past the Boston Bruins (killing The Hound) is on their mind. Capitals: Cersei Lannister —"Everyone who isn't us, is an enemy." Currently atop the throne and a lover of wine, Cersei Lannister embodies Alex Ovechkin and the Washington Capitals, who are the defending Stanley Cup champions and didn't hide their affinity for alcohol following their victory. Hurricanes: Euron Greyjoy — "I don't mock the drowned God — I am the drowned God." Before storm surges and playoff aspirations, the Hurricanes were merely a bad team nobody talked about. Then they raged onto the scene, ready to make noise. Euron Greyjoy's journey is much the same, having not been introduced until Season 6, but as the captain of a naval fleet, he's wreaked havoc since entering the fray. Everyone here is just a bunch of jerks. Islanders: Varys —"A very small man can cast a very large shadow." Something about the Islanders feels sneaky. After bringing in Lou Lamoriello, arguably the most tight-lipped man in the entire NHL, the team has somehow risen atop the league without much on-paper talent. Maybe they know something the rest of the league doesn't, just like The Master of Whispers, Lord Varys. Everyone forgets they're there, until you remember. While the rest of the league fights amongst themselves, the Penguins (Night King and his army) slowly made their march up the standings and, led by Sidney Crosby, are a team nobody wants to mess with come playoff time.